Edens Thank you for considering Edens Turf for your mowing needs. First of all, we do things a little different than most other mowing companies in the area. The difference is in the details. We use dedicated stick edgers on driveways and curbs for clean, crisp edging instead of using string trimmers which can cause some jagged and rough lines. We mow primarily with walk behind mowers. The reason for this is that they are lighter in weight and cut down on compaction in your lawn. They also produce a fantastic cut. 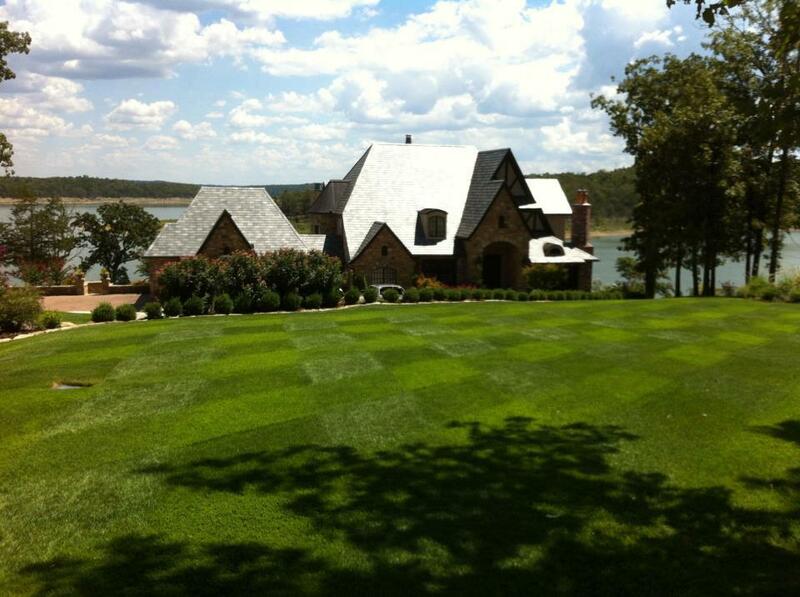 We also cut your lawn in patterns to change directions to prevent rutting and to produce a healthier cut. In larger areas we do use a bigger zero turn machine, but that will be explained before any work would begin. If the customer requests, we will gladly only use the walk behind. Since we also probably do your lawn chemical applications, our mowing crews notice things that need attention usually faster than the customer and relay that information to our technicians so they can address any problems. Our attention to detail and using a smaller mower does take just a bit longer than some of the other mowing companies. We will not be the cheapest option, but you’ll find we also aren’t the most expensive option on many cases. We are by far the best option if your concerns are the quality of work and the consistency of the work provided. We pride ourselves on being on time and doing the work you have requested. We mow properties weekly during the growing season. We sometimes get asked to mow every other week, but that is not something we like to do. The reason is that the grass is more difficult to cut and we end up spending the same amount of time on the yard total as we would mowing on a weekly schedule. When the temperatures drop and the leaves start to fall, we shift to a bi-monthly schedule. This allows us to stay on top of the leaves and debris, not allowing them to pile up and render your lawn unusable or leave it unsightly. When the leaves have mostly fallen, we shift to once per month visits to keep your property looking its best. This equates to 30-32 visits per year. Now, that, coupled with our chemical schedule, can get costly if we are doing two applications to your lawn and mowing in a month that might have five cycles. This is why we do a levelized billing system where we average our your annual cost and you make a monthly payment that does not change unless you decide to add some additional services (insecticides, planting shrubbery, etc..) This makes it easy to budget your lawn care costs as there will be no surprises. If you choose, we can also provide landscape maintenance to your property by maintaining the trimming of your shrubs, spraying of insecticides to keep pests from damaging your landscape, and doing mulching and weeding (chemical and by hand) throughout the year. There are a lot of things to consider in maintaining your property and we would love to be the ones you rely on. We have many references that will be glad to talk to you about the quality and consistency of our work. Rest assured we will be there to do the work you pay for and will not skip out on you and take advantage of you. We stake our reputation on that. We have many properties that you can visit and talk to the owners or managers about our work. Give us a call to set up a free estimate if you are interested in a full lawn service company to take care of all of your needs.